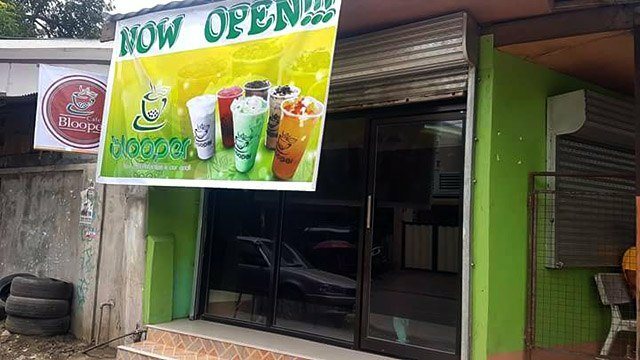 May 23 started out like any other Tuesday for Café Blooper, a milk tea shop in Barangay Basak Malutlut in Marawi City. Owner Unayzah Solaiman went about the daily grind of serving coffee, milk tea and Halal-certified meals such as ramen and grilled chicken to customers. At 2 p.m., however, panic ensued as people started to hear sporadic gunshots and loud explosions. “The fighting started right in front of our store,” recalls Solaiman, who was seven months pregnant at the time. These gunshots would be the first of many violent exchanges between government forces and the ISIS-inspired Maute Group headed by Abu Sayyaf leader Isnilon Hapilon. The fighting prompted President Rodrigo R. Duterte to declare martial law in Mindanao and forced thousands of Marawi citizens to flee the country’s only Islamic City. 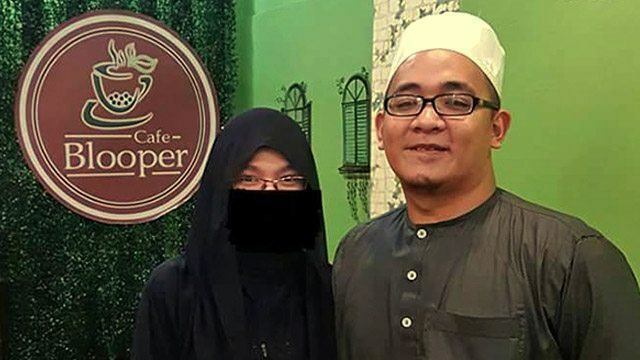 Solaiman started Café Blooper in 2013 when she was only 19 years old and still completing her accountancy degree. She started with a business partner, who later sold her shares to focus on law school. Solaiman owned and operated two branches, one in Basak Malutlut and another inside the Mindanao State University (MSU) campus. When the fighting started on May 23, Solaiman’s focus shifted. “My main concern was the safety of my customers and Christian employees,” she shares. Solaiman still gets teary-eyed when recalling the day of the siege. She, her husband, daughter, one-year-old niece and brothers, together with more than 30 customers and 10 employees, were stranded in their home, which stood behind her shop. “We were trapped there for the night. The next day, we all fled to my parents' house located near the Capitol, which was a relatively safer area. Afterwards, we all went our separate ways. Family members began to fetch some of our customers and employees. Other people fled to Iligan city, including us,” she recalls. The fighting meant café operations were brought to a halt, which left Solaiman and her family with no source of income. “My husband also had a hardware store below my shop, but we left everything in Marawi. So, when we arrived in Iligan, the money we had only amounted to one day of our usual sales, which was around a hundred thousand pesos. We waited for a month for the fighting to end and our money was quickly depleting. We were starting to lose hope,” she says. So she and her husband started to explore other options. They considered looking for a job abroad or starting a new business, both of which entailed costs. 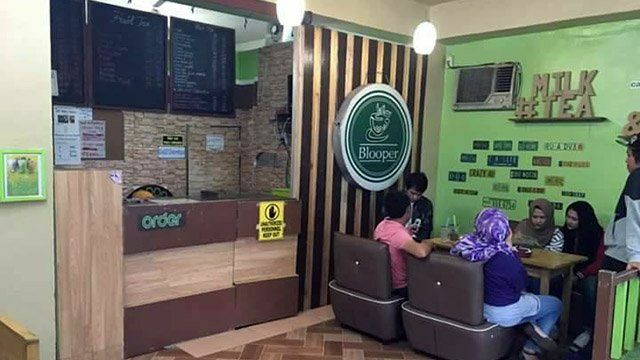 One of the most practical solutions that came to mind was to restart Café Blooper in Iligan. “My husband tried very hard to apply for a safe pass back to Marawi to collect our things. He successfully gathered some of my stocks and equipment, which enabled us to open a very small café in Iligan. We used what remained of our cash to pay for rental fees for the commercial space,” she says. Prior to the fighting, the couple already had plans to open a branch in the new Robinsons Place mall in Iligan. “We already deposited Php300,000, but since the fighting cut off our sources of income, we could no longer pay for renovations or afford to operate there. Right now, we are in the process of requesting a refund,” she shares. So, they opted to start small and simple. “My husband’s hardware business had average daily sales of Php50,000. My Basak Malutlut branch and MSU branch would earn Php25,000 and Php5,000 per day, respectively. Now, we only have average daily sales of Php5,000, but we still have a lot to thank God for,” she says. The Basak Mulutlut branch could seat 70 people while the MSU branch seated 30. “Since we can only afford a small space here in Iligan, our branch now can only accommodate 10 persons. We have simple tables and plastic chairs. We did not renovate anything. I also hired four members of my former kitchen crew. The others had transferred to Davao already,” she says. However, business is doing good as regular customers from Marawi remain loyal to their products. “So now we are saving up so we can transfer to a bigger space,” she says. To help kick-start the local economy, the government has set aside a livelihood assistance budget for Marawi citizens. Under the ‘Pondo Para sa Pagbabago at Pag-asenso’ (P3) program, displaced entrepreneurs like Solaiman can also avail of loans between Php5,000 and Php300,000. As of July 17, however, the government has yet to take back full control of Marawi City. With potential stray bullets and abandoned IEDs yet to be cleared, it might be a while before displaced Marawi residents can safely return. Despite the possibility that her home and business in Marawi was totally destroyed by the fighting, she has no qualms about resuming the business in the city once it’s safe to do so. “Yes, definitely!” she replied when asked if she has plans to revive Café Blooper in Marawi.